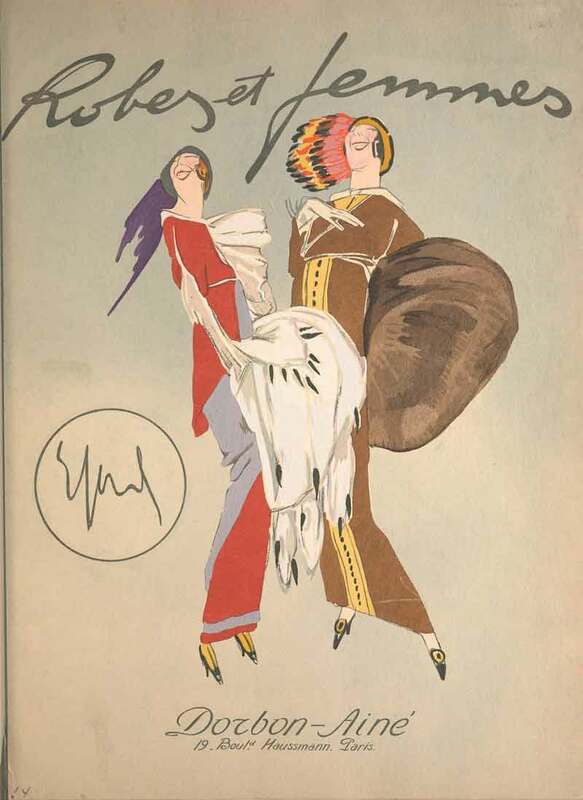 Thanks to the Smithsonian digital archivists for uploading and preserving this delightful hand stencilled or “pochoir” Art Nouveau book of fashion illustrations by the little known Roman cartoonist Enrico Sacchetti. 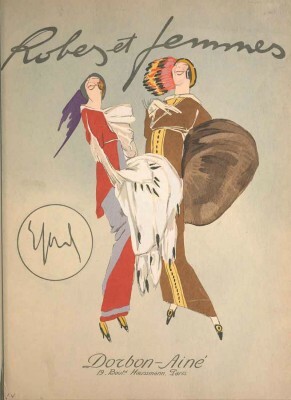 Remembered more for his sarcastic cartoon depictions of World War One, what makes this book unique in my mind are the satirical and languid poses of the models throughout – a refreshing break from the poker faced fashion depictions of the period. Though not as often remembered as his contemporary artists like George Barbier, Paul Iribe, Charles Martin and Andre-Edouard Marty – these illustrations remind us over a century later of how the “new modes” from Parisian designers were caused quite a stir. 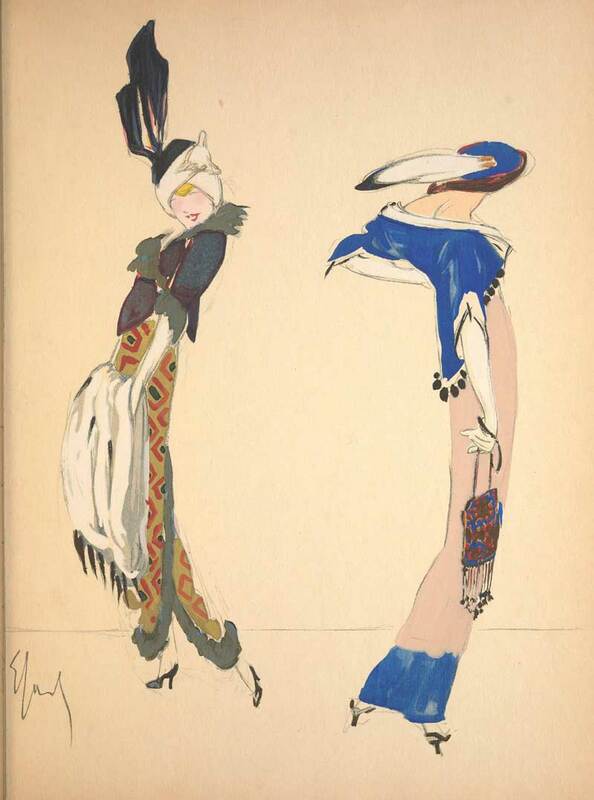 The designs are Sacchettis own, but are clearly poking fun at the outlandish feathered and turbaned styles of a certain Paul Poiret. The early 1910s saw a popular print craze of expensive limited editions color pochoir books of this sort which were marketed toward the wealthy. 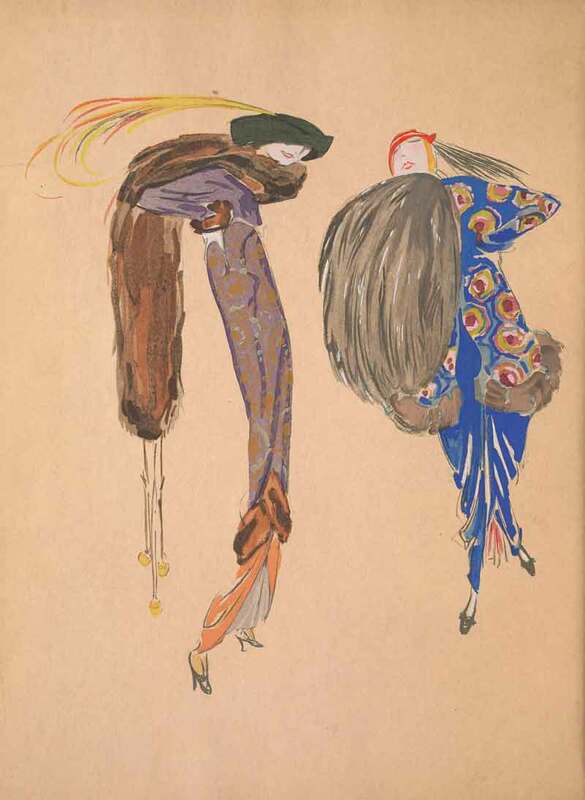 The fad was said to have begun with couturier Paul Poiret when he commissioned artist Paul Iribe to create his Les Robes de Paul Poiret in 1908. 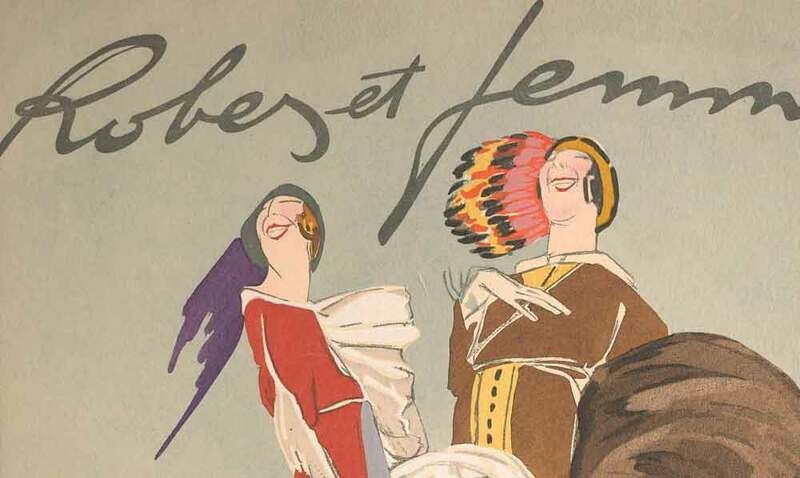 Designers like Poiret not only freed women from corsets but brought vivacious colour into the previously drab fashion circulars which promoted Paris houses. 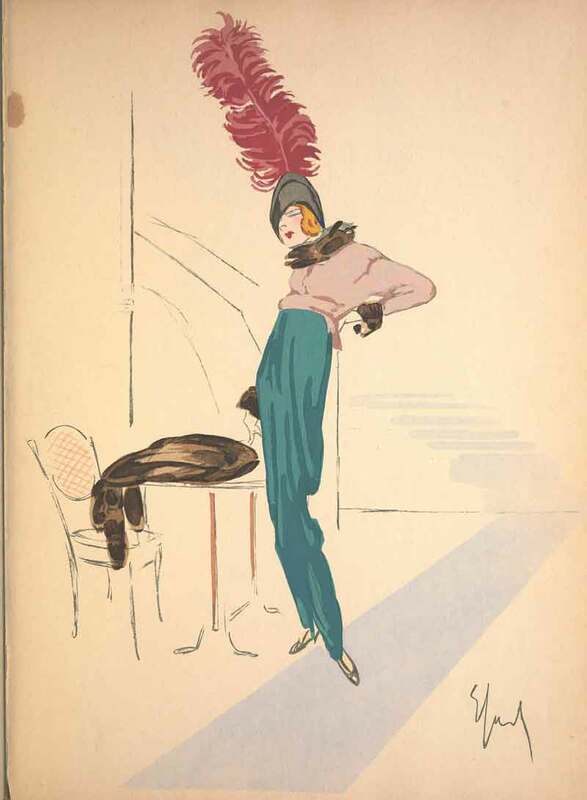 It was the last gasp of the Belle Epoch Renaissance before the horror of the First World War and these colourful pochoir books heralded the 1920s Art Deco fashion era by several years.